Unlock the possibilities with thermoelectric technology! Tecteg Mfr. 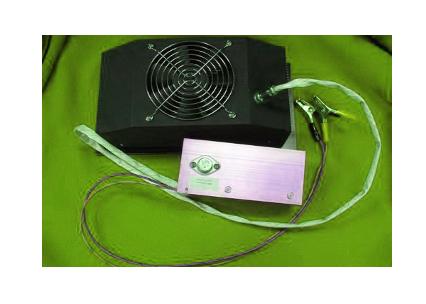 maintains an industry leading 5 types of thermoelectric TEG power modules. 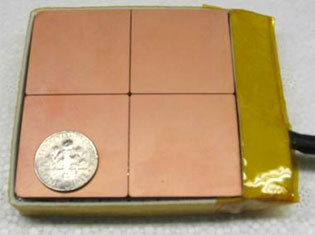 Designs consist of modules with temperatures up to 800°C . The main stay BiTe 320°C, Hybrid BiTe- PbTe 360°C, SnSe – PbSnTe 600°C, Calcium Manganese (CMO) 800°C, and CMO cascade with BiTe stacked 800°C . We will continue to lead the market in offering the most diverse TEG materials and thermoelectric modules– second to none in the industry! Thermal Electronics Corp. established in 1997 designs, distributes, and manufactures Peltier MilkMate 1 gallon and 2 gallon coolers and thermoelectric Tec modules for the Food Service Industry, Industrial, Institutional, and Military Sectors. Thermoelectric cooling offers precision control of temperature eclipsing any other cooling technology! Our 35 years of design and thermoelectric stock components offers you the client an economic and competitive library of thermoelectric parts to design any possible cooling product. TEC has developed and manufactured the most diverse TEG thermoelectric generator parts inventory including multiple liquid sinks, heat sinks, thermoelectric temperature controllers, fans, Peltier modules, Seebeck modules , and DC pumps, available in the industry today. We offer everything needed for engineers or DIY design thermoelectric TEG power generators or Peltier cooling systems! Leading Industry TEG Seebeck Division. Contact either our Peltier cooling or Thermoelctric power generation division. We will be glad to answer any thermoelectric question! We can advise on design and capability and provide you with the best information available today. Partnered with thermoelectric Researchers, Universities, Scientists From All Over The World Since 1997 To Develop Novel Thermoelectric Solutions. Ready To Power Your Devices With Thermoelectric Generation?